Because of this potential, 80 percent of upstream operator respondents to a Microsoft/Accenture survey said they planned to invest either at current levels or higher in digital technologies over the next three to five years. A new report written in collaboration with Accenture, “Fueling a Digital Methane Future: The role of digital technologies in minimizing global oil and gas methane emissions,” examines how the oil and gas industry can leverage their digital transformation to optimize, accelerate and scale global methane mitigation. Digitization means disruption, and current approaches to methane management are prime for change. Today, field staff are deployed, asset by asset, on a time-based schedule to search for leaks with handheld instruments. While a manual, calendar-based approach can be effective, it isn’t always efficient. If oil and gas companies and technology providers integrate methane emissions management into broader digital agendas from the start, they can harness technology to determine where the biggest problems are, in real time. Science shows that 80 percent of methane emissions are caused by 20 percent of the leaks. Digitally-enabled leak management has the potential to immediately identify that 20 percent. Not only could digitally-based methane management significantly reduce overall detection costs, it could reduce the field time of workers. There are opportunities for digitalization of methane management irrespective of a company’s current state in the methane reduction journey. For example, industry leaders that have committed to ambitious, time-bound methane reduction targets, such as the thirteen member companies of the Oil and Gas Climate Initiative, can actively test and deploy digital methane solutions as tools for actualizing their critical commitments and verifying emission reductions. 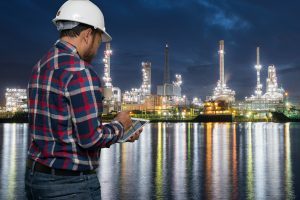 Last year, Shell selected C3 IoT as its artificial intelligence platform, which will leverage AI for predictive maintenance on thousands of pieces of equipment. If these predictive maintenance algorithms were trained to correlate equipment performance with emissions events, they could start to predict leaks before they happen. Furthermore, the algorithms could detect patterns in leaky equipment by vendor, thus enabling the company to leverage its purchasing power for lower-emitting products. Meanwhile, companies that are investing in digital oilfield broadly can explore integrating emissions management into digital programs, allowing the companies to potentially leapfrog early phase, manual steps. Abu Dhabi National Oil Company (ADNOC) recently announced a planned investment of $1.8 billion by 2023 in emissions abatement projects, including methane mitigation. This investment coincides with numerous digital initiatives, such as the launch of its Panorama Command Centre, a new digital hub. 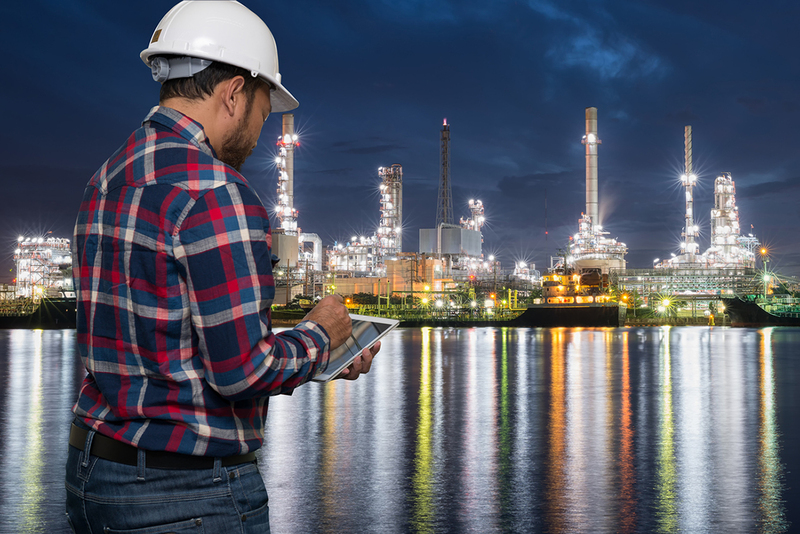 Aligning the company’s methane mitigation initiatives with their larger digital agenda could unlock trapped efficiencies from traditional leak detection techniques and position ADNOC as a leader in digital methane. Realizing the full potential of a digital methane future will depend on collaboration across stakeholders and value chains. Leading oil and gas companies have the opportunity to recognize the value and efficiency potential of integrating methane management into broader digital initiatives and set an agenda internally that seamlessly integrates methane management into operational excellence. Technology firms and oilfield service providers that develop new business models to embed digital methane reduction solutions into their broader industry offerings can gain a competitive advantage by in turn making their clients more efficient and carbon competitive. Smaller digital oil and gas startups can differentiate their offerings through environmental performance benefits. Kelvin Inc., for example, has demonstrated, through its work with BP in Wyoming, increased production and reduction in cost as well as significant reduction in emissions events. Finally, traditional methane technology providers stand to benefit from expanding their offerings to include capabilities that enable integration with an increasingly digital methane world. This might include smart wearable devices, cloud-based data storage, or flexible backend architecture that can integrate with other systems. For the methane technologies of today to stay competitive tomorrow, they need to go digital. Digital methane management has the potential to crack the code on widespread, cost-effective emissions reductions across the global oil and gas value chain. All companies, regardless of where they stand today on methane mitigation, can explore digital methane projects. This entry was posted in Fourth Wave, Methane, Natural Gas. Bookmark the permalink. Both comments and trackbacks are currently closed.